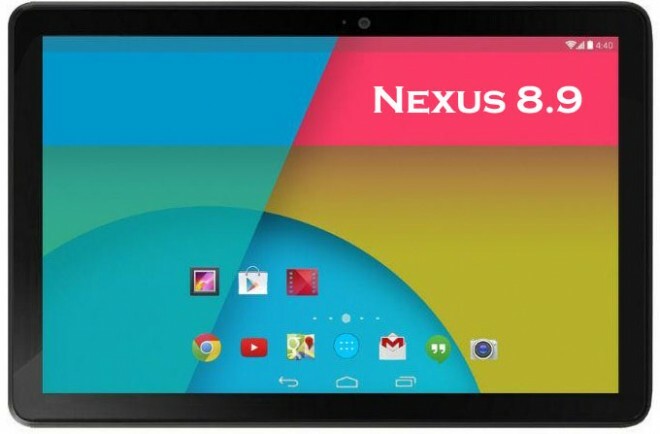 Google's next-generation Nexus tablet, Google Nexus 8, was one of best tablets 2014, which was follow-up to the amazing Nexus 7 and coming to the Google I/O conference packing an Nvidia Tegra processor. Moreover, the tablet with 8.9 in slate was an absolute beast with a new version of Android KitKat, or the next letter, L. We could be getting version 4.5 or 5.0 - thought to be called Lollipop. Meanwhile, Android Pit reports that the Google Nexus 8 features a 64-bit processor following Apple's lead with the iPhone 5s. The rumor mill also has spat out that Google will ditch Qualcomm and Snapdragon chips for Intel's Moorefield which is clocked at 2.33GHz and features a PowerVR G6430 GPU. Though the above leaks should be taken with a pinch of salt, we still have the confidence to say that the fire-new tablet with ultra big display and more advanced operation system, watching DVD movies on Nexus 8 is categorically awesome with no doubt. That being said, watching new DVD movies on tablets is not roses all the way. You see, regardless of iPad mini (Retina), Samsung Galaxy Note 10.1 (2014), or Nexus 7, they all have one thing in common-no included DVD driver, and Nexus 8 is no exception. Hence, in case you do crave for watching DVD movies on Nexus 8 on the move, you are required to rip DVD to Google Nexus 8 at the first place. So a professional yet solid DVD ripper is crucial. Here, MacX DVD Ripper Pro is the very one you can resort to easily ripping DVD with 1:1 original DVD quality reserved. Highly acclaimed as the best DVD ripper for Google Nexus 8, MacX DVD Ripper can empower you to easily rip copy protected DVD without compromising any quality in that its built-in High Quality Engine guarantees the whole ripping procedure without any DVD data loss. And it's also mentionable that this second-to-none DVD ripper is continuously updated to satiate your demands on ripping and backing up newly-released DVD that it's powerful enough to skirt any DVD encryption tech even the latest Disney X-project protection, let alone the common Region Code, CSS, Sony ARccOS and others. With this DVD ripper application, ripping the latest DVD like Oscar winner The Revenant, Son of Saul, Deadpool,Star Wars: The Force Awakens is just easy as pie. Import the DVD movie you want to rip by clicking "DVD Disc" button or simply load new movie DVD releases folder by clicking "Path" button. Here you can click "to MP4 Video" from Mac General Video as output video format. Or, you can just select "to Google Pad Video" from Android Pad profile. After finishing the above steps, click the "RUN" button to start ripping DVD to Google Nexus 8 on Mac OS X(macOS Sierra/El Capitan incl.) or Windows(Win 10 incl.). Notes: Assuming you have a glut of DVD collections and planned to protect them from damage, scratch and loss, MacX DVD Ripper Pro also helps you backup DVD on computer with original video and audio quality. 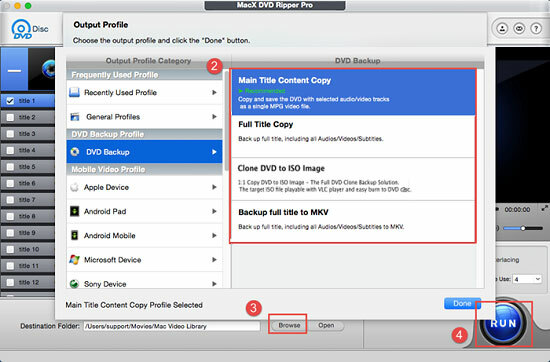 Plus, this updated DVD ripper for Mac also provides you with multiple choices to copy and backup DVD on Mac that it's totally at your disposal to copy DVD with main/full title, backup DVD to MKV or clone DVD to ISO image for later DVD burning. Apart from ripping and copying DVD to Google Nexus 8, this versatile DVD ripper for Mac also supports you to rip DVD to Google new Nexus 7 or copy DVD to iPhone 5S/C/6s/6s Plus/7/7 Plus, iPad mini 4/, iPad Pro, Apple TV, Sansung Galaxy S7/S6/Edge, HTC One M9, Kindle Fire, Surface Pro 4 and more with 350+ preset profiles offered for you. With this DVD ripper in hand, you can eventually rip and convert any DVD to almost all the handheld devices for enjoyment while moving. To replay the converted DVD content on iPhone iPad iPod, you'd better take advantage of MacX MediaTrans to copy video from computer to iDevices for enjoying without limits. Notice: We only advocate using this best DVD ripper to rip commercial DVDs under the concept of Fair Use and do not encourage any illegal reproduction or distribution of copyrighted content. Please abide by the local DVD copyright law before doing it. 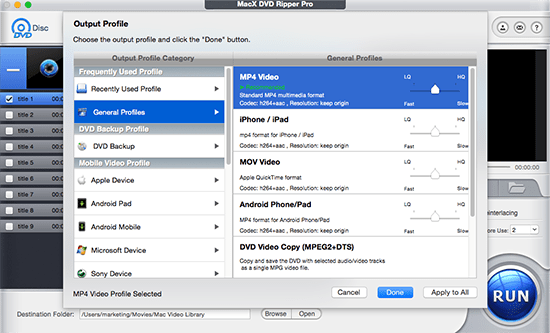 MacX DVD Ripper Pro is the best DVD to Google Nexus 8 ripper which can freely rip DVD to MP4, MOV, M4V,etc Google Nexus 8 supported formats or iPad Pro/Air 2/mini 4 and backup any DVD disc, ISO image, DVD folder on Mac (MacBook Air/Pro, iMac etc) in 1:1 quality with original quality.